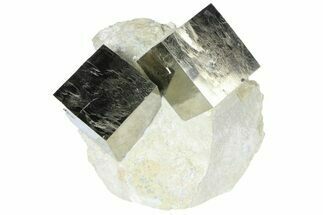 This is a cluster of pyrite cubes from the famous Victoria Mine near Navajun, Spain. It has a wonderful, golden metallic luster. 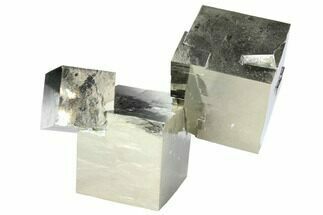 There is damage between the two largest cubes where they broke apart during extraction and have been pieced back together. 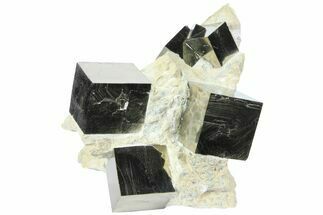 At first glance some people think that these cubes are man-made, but the amazing thing is that they are natural! 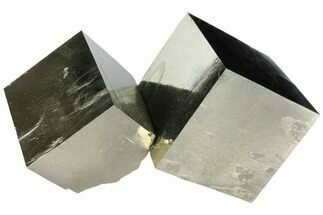 Pyrite from this location is famous for its beautiful shine and near-perfect cubic formation, and sculptural appearance. 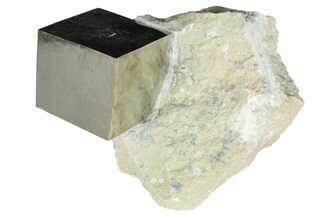 It should be noted for collectors that because the rock is soft, the cubes almost always come loose during collection. Care is taken during preparation to stabalize, repair and make sure everything is remounted in it's natural position. 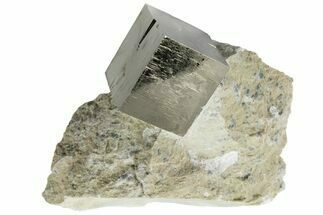 This means that nearly all of the cubes still in the rock from this locality have been remounted, and most clusters of multiple cubes have been stabalized. Care is taken during preparation to make sure things are remounted in their as found positions and none of the specimens we sell are composites. 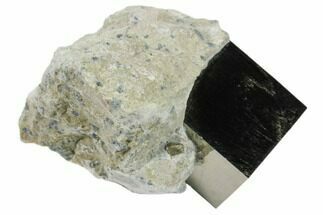 The pyrite deposit of "Ampliación a Victoria" is located 3km northwest from Navajún town, in the Alcarama mountain chain. 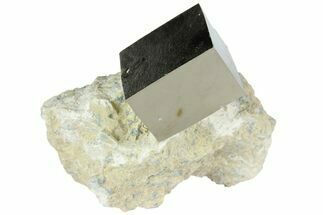 The history of mining in the area goes back to Romans mining for silver. 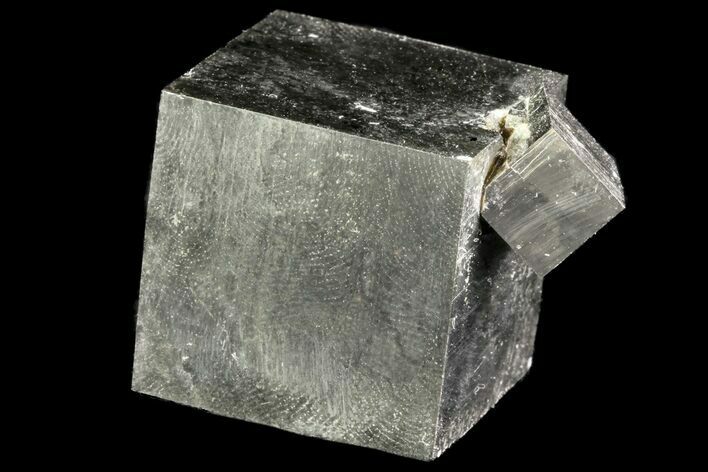 Modern galena mining led to the discovery of the pyrite in 1965, and since then specimens from this locality have been sought out by collectors world wide. 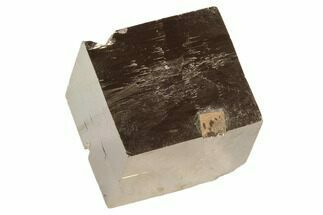 The largest crystal to-date was over 19cm and weighed 9.5kg.